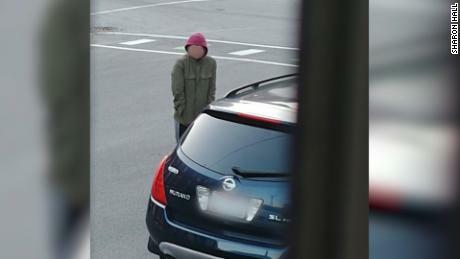 Sharon Hall told CNN she noticed a “fidgety” boy near a car in her Newport neighborhood. The neighbor’s daughter called the police after the boy told them he’d ran for two hours and his stomach hurt. When authorities arrived, he told them his name was Timmothy Pitzen, 14, and he’d ran away from two men who kept him captive for seven years, most recently at a nearby Red Roof Inn, according to a police report. He was unsure of the hotel’s location, authorities said. It appears he’d escaped and kept running across a bridge into Kentucky, according to the report obtained by CNN affiliate WCPO. People who talked to him before police arrived said he was anxious and pleaded for help. It was unclear what city he’d escaped from before arriving in Newport. Police agencies in the area checked nearby Red Roof Inn hotels and did not find anything, according to the report. In a Facebook post, the Sharonville Police Department near Cincinnati said it helped check local hotels for the suspects, but its officers had no contact with Timmothy. “All information that we obtained is from Campbell County, Kentucky,” it said in a statement. Sharonville, Ohio, is about 20 miles from Newport, Kentucky. The teen described his kidnappers as two men of “bodybuilder type build.” One had a spiderweb tattoo on his neck and the other had a snake tattoo on his arms, the report said. The men drove a Ford SUV with Wisconsin plates, according to the police. 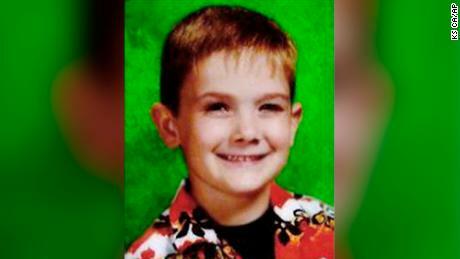 The National Center for Missing and Exploited Children has said that Timmothy was last seen at a water park in Wisconsin. The FBI and local police are investigating to determine whether the boy found Wednesday is Timmothy. Police in his Illinois hometown of Aurora said DNA results will take about 24 hours.